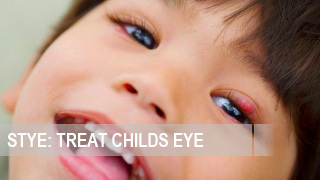 Stye is a common eye disease. It starts with unpleasant feeling of itching and pain, as well as the presence of a foreign body in the eye. Then there is an infiltration with purulent contents formed above the eyelid, which remains for a few days. Of course, when the first symptoms of the disease are defined, it is desirable to consult a doctor. 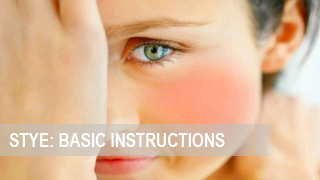 If there is no possibility to consult a specialist, you can try to cure stye at home. When the first symptoms of the disease, such as eyelid redness and swelling, are obvious, it is recommended to apply any alcohol-based solution, such as brilliant green, or 70% medical spirit, on the immature abscess. Tea tree essential oil or fir oil also cause a good effect in the early stages of the disease. For this purpose, the oil is applied on the affected area using a cotton swab. At the same time, it is necessary to make sure that it has not got to the mucous membrane on the eye. 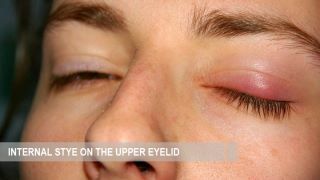 Before you treat stye at home, it is better to consult a doctor. However, if the patient’s body temperature is normal, s/he can use proven home remedies. 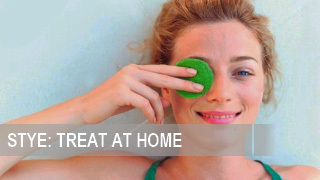 Tea bags are a good tool for the treatment of stye at home. For this purpose, take a tea bag, soak it in warm water and when the water starts to take a color take out the bag. When the bag has cooled off put to the sick area. It is kept up until it reaches body temperature. 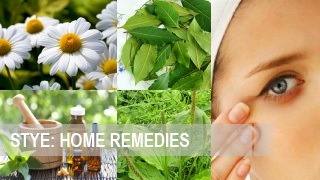 Chamomile decoction is often used for the treatment of stye in the eyelid at home. To make it, take 50 g of chamomile flowers, pour 200 ml of boiling water, and infuse it for 20 minutes. The decoction can be used for washing, or as a lotion to be put on the area of inflammation. Salt is used as a remedy to cure stye since ancient times. It is heated on a pan, and then put in a small pouch. Then, the pouch is put to the affected area and kept until the salt gets cool. Treatment using dill: take fennel/dill seeds, put them in a thermos with boiling water, and infuse for 5 hours. After that, use the infusion for lotions of the affected area. Treatment with garlic: peel and cut a slice of garlic, and put it tightly to the sore spot. Lotions with aloe. For the preparation of the remedy, use a fresh leaf of aloe, squeeze it to get aloe juice, and dilute it with 100ml of room temperature boiled water. Leave it for 7 hours. After that, dip a cotton pad in the infusion, and put it to the sore spot. When choosing a medication to treat the disease, you has to select from modern medicines. Among them, there are the Similasan and Polysporin. They cause good effect in the treatment of inflammatory diseases. 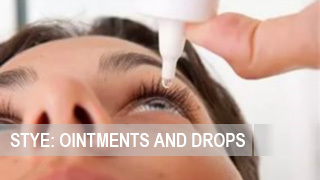 The drops are instilled into an eye for at least 2-3 times a day. You should consult a doctor before putting the remedy, because these medicines have a number of contraindications. In order to get rid of the disease, it is also helpful to use erythromycin ointments, putting them at nighttime. 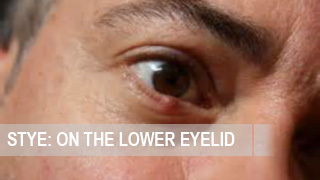 Stye on eyelid is an acute illness, which requires immediate treatment. 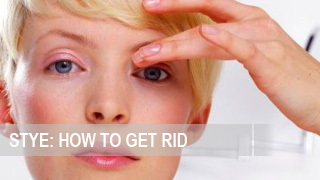 The treatment of stye at home is a good opportunity to get rid of the disease. 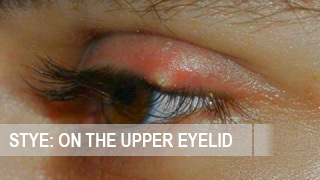 Proven methods presented in this article will help to heal stye, as well as prevent recurrence of the disease.